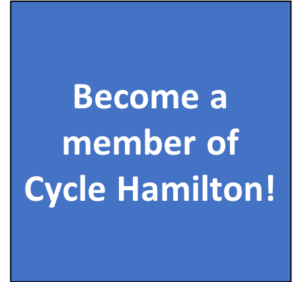 Cycle Hamilton has prepared a response letter with regards to the recent motion: Hybrid Solution to On-street Parking on Bay Street North Between Barton Street West and Stuart Street. 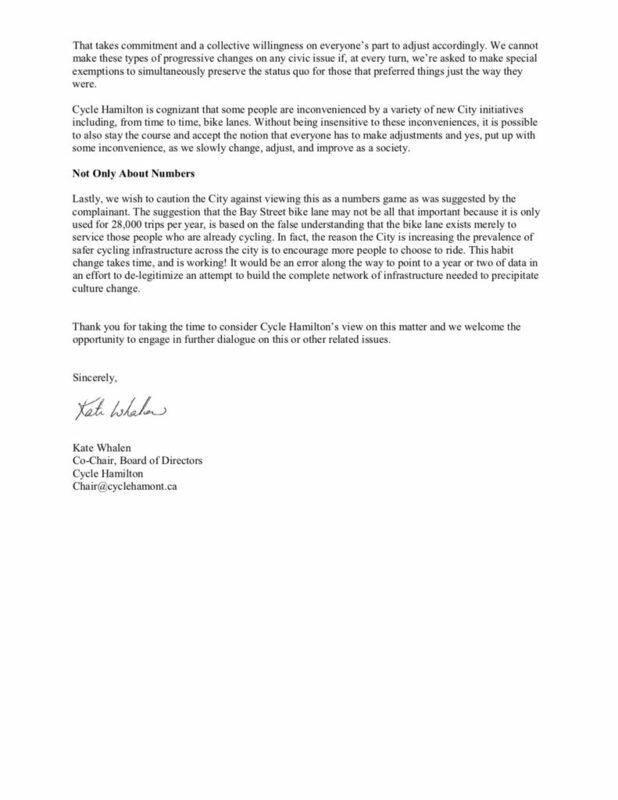 This letter was distributed to Mayor Fred Eisenberger, City Councillors, and City staff. 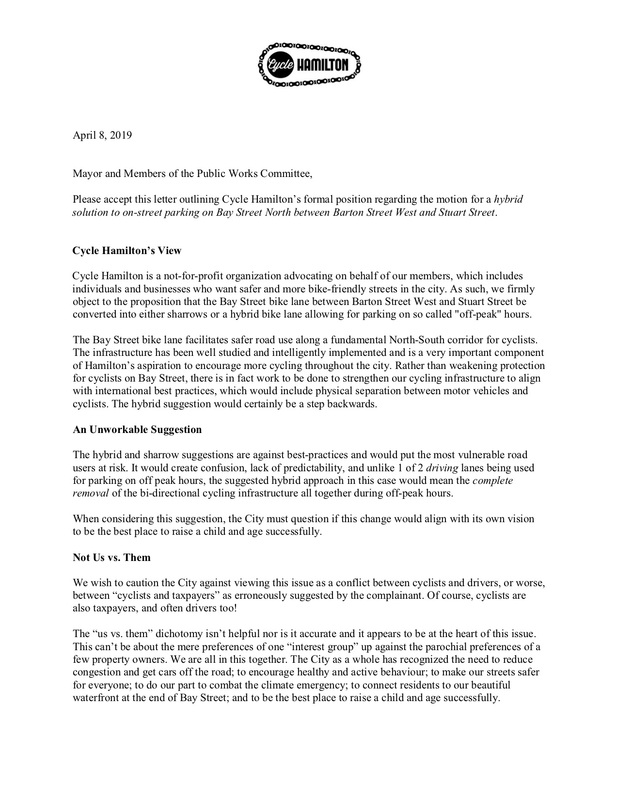 We are concerned that this motion will pose significant risk to the safety of cyclists and will negatively impact usage of the Bay Street bike lanes by cyclists. We have provided additional information on our position, which can be found in the attached letter. ← We’re hosting our AGM at MERIT Brewing on April 25th!